The very first step for buying a new home is to check how much you can borrow, see how much your deposit will need to be and get a mortgage agreed in principle. This doesn’t tie you into anything – you can always choose a different provider later. Now for the exciting bit – choosing a home. You can search our homes by location, development or nearby school. When viewing a property it can be easy to get carried away, so make sure you stay objective and take a checklist with you. Taking a list to a viewing can help you spot deal-breakers, enables you to remember questions that you might want to ask, and reminds you of your most important priorities. With almost a third of people saying they find it difficult to decide on which property to buy you need to make sure you are 100% happy and have as much information about your future home as possible, both inside and out. So make sure you visit your potential new home more than once, consider seeing it at different times of the day to get an all-around feel of the space and surrounding area. You’re likely to pick up on things that you might have missed the first time around. 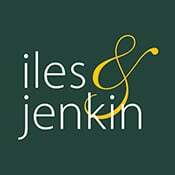 Make an offer via the agent you have viewed the property (hopefully this will have been via Iles and Jenkin!). They have a legal duty to put your offer to the homeowner, whether the house is For Sale or has actually been marked ‘Under Offer’. This offer should also be confirmed in writing to you, along with the outcome. Once a price has been agreed, which may take several offers, your agent will send a ‘Sales Memorandum’ to you, the seller and both solicitors, ensuring everyone knows who should be contacted to get the process started. A solicitor takes care of all the legal aspects of the home-buying process. Remember to shop around for the best rate and make sure you find one that specialises in conveyancing (preparing the property transfer documents). Your mortgage lender will want confirmation the home is worth what you’re paying for it. They’ll organise the valuation for you – this will involve a fee. The survey checks the condition of your new home. Your solicitor will look after this for you. It’s all about formally transferring ownership from the current owner to you (known as conveyancing), and checking there are no legal obstacles in the way, like local plans that may affect the value of the property. The selling solicitor will send a contract to your seller, this should be with them within a few days of the sale being agreed, your solicitor will then raise enquiries with the selling solicitor and will apply for searches with various organisations, such as the local council, water and drains authority. This will enable them to be able to advise you and your mortgage company as to whether the property is legally safe to buy. This process can be time consuming, but do not despair, although the rest of the world operates in almost immediate click of a mouse on the internet, the actual legal process of house buying does not work this way and will take several weeks and averages around twelve weeks.We at Iles and Jenkin know how stressful this process can be and employ a full time sales progressor in order to help you through this process. Once the legal work is complete, your solicitor will exchange contracts with us. This is when you pay your deposit and commit to the deal taking place. The agreement is finally legally binding and you can fully work towards your moving date with confidence. On the date of completion, you become the legal owner of your new home. The full cost of the property is transferred from your solicitor to the seller. Then the keys are yours and you can move in!